While researching the topic of advocacy last year, I found a 190-page toolkit produced by an organization called Disability Rights Wisconsin. I’ve posted a direct link to this group’s download page. Yes, you may visit my website and click on the Resources page. The link to this awesome toolkit will download to your computer. 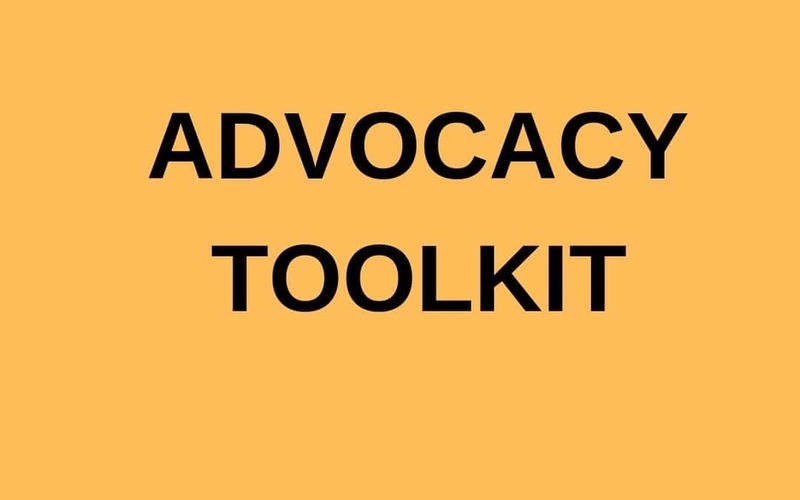 While researching the topic of advocacy last year, I ran across a 190-page toolkit produced by an organization called Disability Rights Wisconsin. Yes, you may visit my website and click on the Resources page. The link to this awesome toolkit will download to your computer. Or you may go directly to the Disability Rights Wisconsin site and download from there. It is FREE to the public. They really make it easy for you to cherry-pick whatever you need. So let’s just say, for example, communication skills may be something that you want to delve into a little bit deeper. Okay. That’s always a good – even for me. I think all of us can always use a refresher on communication skills. So this toolkit, it’s almost 200 pages pdf that’s FREE, by the way. Again, I’ll say that because that blows my mind, the detail that was put into it – I promise you will find something in this document that will be useful. Now at this point, I would also like to say that this toolkit is not just for advocating for folks with disabilities, which is huge by the way, because this is the only document that I found on the Internet of its kind, so this is amazing, but I to also expand the use of this document out into other advocacy groups. Okay. So you can take some of the lessons and the worksheets they have in here and some of the scenarios on how to talk to say government officials or how to talk to organizations if you’re advocating for something. So it’s not just strictly for disability advocating, it can also be used in other scenarios. So you know, that I’m a big animal advocate. I’ve learned some things just perusing through this very quickly, this pdf to say, oh, that’s something I need to reread, and maybe improve my skills on that particular topic. So I would encourage you and if you’re still listening at this point in this episode, you’re either already an advocate, or you’re looking to find out some information on how to advocate, or you’re just a plain ole compassionate person who is listening to this podcast and I think that each and every one of you would find this advocacy toolkit to be very useful. If not just for yourself, but perhaps someone that you know, that you might want to share this toolkit with and maybe let them, give them the link to my episode just so they can quickly hear what’s going on. I also have, once again, I’ll say show notes, so you do not have to listen to this podcast again if you want to go to the podcast section on my website, my show notes transcript will be there. So the text will be there. Anyone can read without having to dial in with headphones and listen. Okay. I hope you find this helpful. I know that I was thrilled. A shout-out to the folks at Disability Rights Wisconsin for putting this together. I can’t imagine all the hours it took, but it is a welcome resource in the world of advocating. Alright. Talk to you later.